Reinventing a major art institution is never an easy task. The longer it has been around and the more attached visitors are to it, the greater the challenge. New Yorkers have the controversies around the transformation and continued expansion of the Museum of Modern Art fresh in mind. In Southern California, the art world and the public at large have been grappling with the future of the Los Angeles County Museum of Art (LACMA) for nearly four years. So when LACMA’s leadership suggested removing the institution’s badly deteriorating buildings – three original 1965 structures by William Pereira and a 1986 addition by Hardy Holzman Pfeiffer Associates – instead of repairing them, director Michael Govan decided to take an art-positive step to memorialise the museum’s familiar campus. “I thought, ‘Rather than ignore this real sense of nostalgia, let’s commission an artist to confront these sites that have meaning and preserve them in some way,’” Govan explains. VERA LUTTER IN HER NEW YORK STUDIO, DECEMBER 2016. PORTRAIT BY MATT MAGELOF. ALL ARTWORKS ©VERA LUTTER. 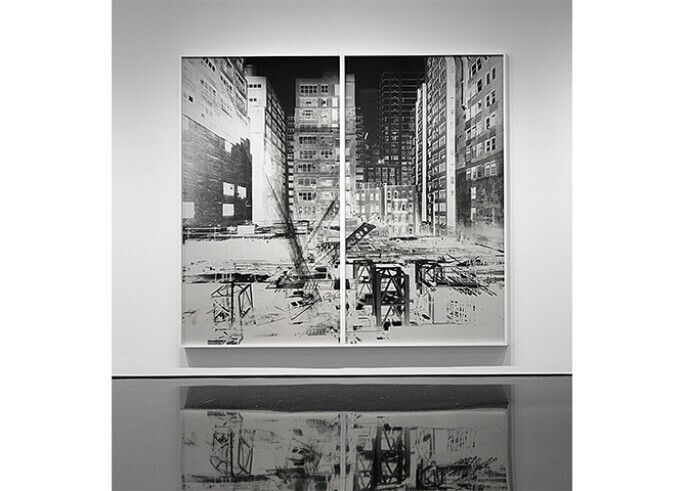 COURTESY GAGOSIAN. His solution? 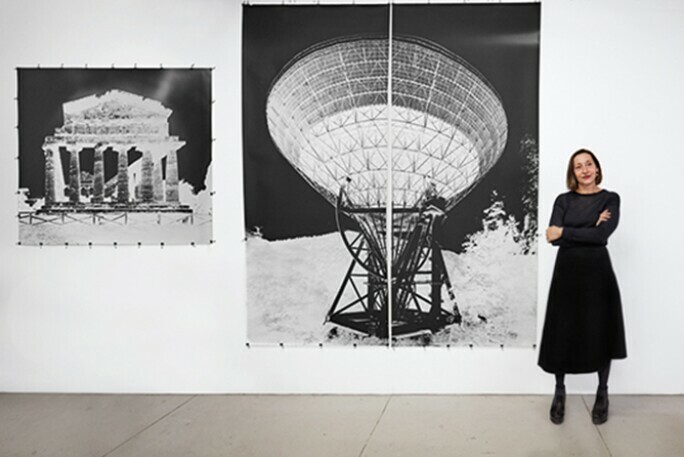 Commissioning New York-based artist Vera Lutter to use her signature pinhole cameras to immortalise the structures and vistas before they are replaced by LACMA’s new Peter Zumthor-designed building. The resulting works will be exhibited when the museum temporarily downsizes to its Renzo Piano-designed buildings during demolition in 2018. Thanks to Lutter’s forthcoming series of large-scale images (a project sponsored by Sotheby’s), Angelenos will be able to honour the memory of the old LACMA forever. 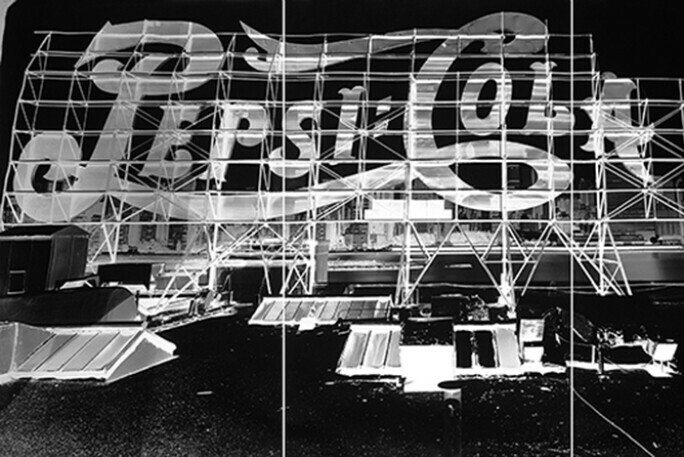 VERA LUTTER’S PEPSI COLA, LONG ISLAND CITY IX, JULY 2, 1998, 1998, UNIQUE, SILVER GELATIN PRINT, 55 1/4 X 123 INCHES (140 X 312 CM). 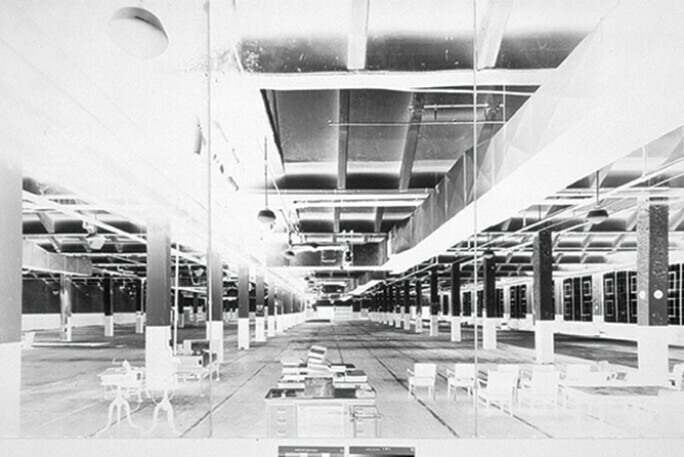 LUTTER’S NABISCO FACTORY, BEACON I, JULY 19–22, 1999, 1999, UNIQUE, SILVER GELATIN PRINT, 93 X 168 INCHES (236 X 427 CM). At LACMA, Lutter’s project has three areas of focus, and with multiple cameras set up around campus, its logistical complexity turns out to be more akin to making a film than a typical documentary photograph. First, the artist is working outdoors, using a mobile camera on wheels to capture four exterior views. One of them puts the corner of a Pereira structure in juxtaposition with one side of the 1986 addition, so that the buildings’ edges frame a rectilinear Maria Nordman sculpture and palm trees in the distance. After the scene passes through her pinhole process, those trees will appear as white silhouettes while blue sky will read black as night. Then, Lutter is using two stationary cameras to photograph her own selection of paintings from LACMA’s permanent collection. Their exposures will take about three months each. While the artist has used a smaller trunk-size pinhole camera to capture Greek and Roman sculptures at the Metropolitan Museum of Art in New York as well as Degas bronzes in the National Gallery of Art in Washington, DC, she has never experimented on two-dimensional artworks before. “I became very curious about what would happen if I copy-photographed art and made it mine by making it bigger or smaller, and by experimenting with the chemistry in the darkroom,” explains Lutter, who has always done her own developing. She has taught herself such processes as solarising and bleaching in anticipation of this project, and the museum has built a darkroom for her on-site. A WORK IN THE ARTIST’S 2015 EXHIBITION AT GAGOSIAN, NEW YORK. Finally, the photographer has constructed a third indoor camera – the largest at twenty feet long, eight feet deep and ten feet tall – directly at one end of LACMA’s largest European Old Masters painting and sculpture gallery. Estimated to take nine months, this exposure will capture the long perspective of the classically installed room, thus echoing the romantic views of museum interiors by such painters as Giovanni Paolo Panini and Charles Willson Peale. “I’m creating a record of something that has existed for a long time for a community,” says Lutter, who is interested in how environments that generations of artists and visitors have known are becoming a thing of the past as museums evolve. Indeed, according to current renderings, it is unlikely LACMA’s collection will be installed in a traditional manner when its new building is completed in 2023. Hilarie M Sheets writes regularly for The New York Times and is a contributing editor of Art + Auction and ArtNews.